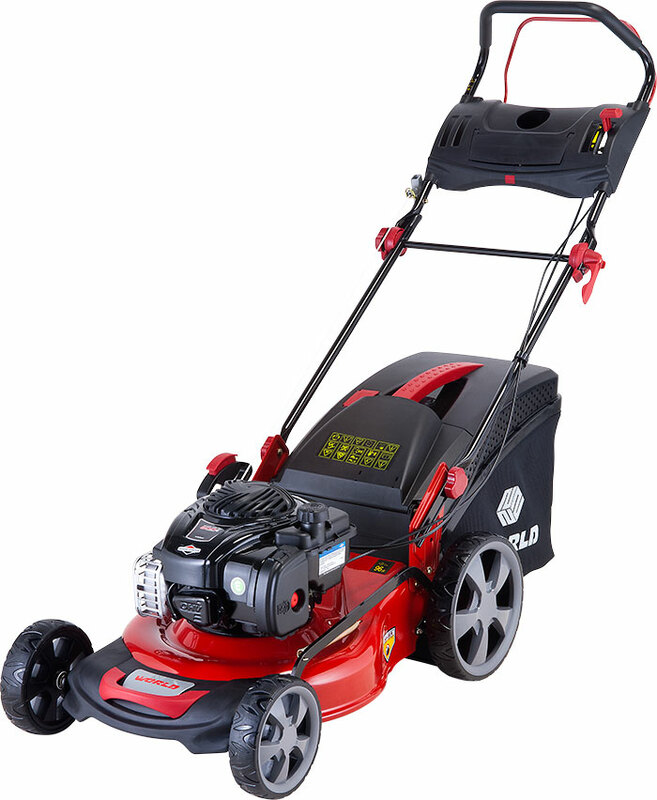 The WYS18 is a hand propelled mower, engineered for medium size lawns. 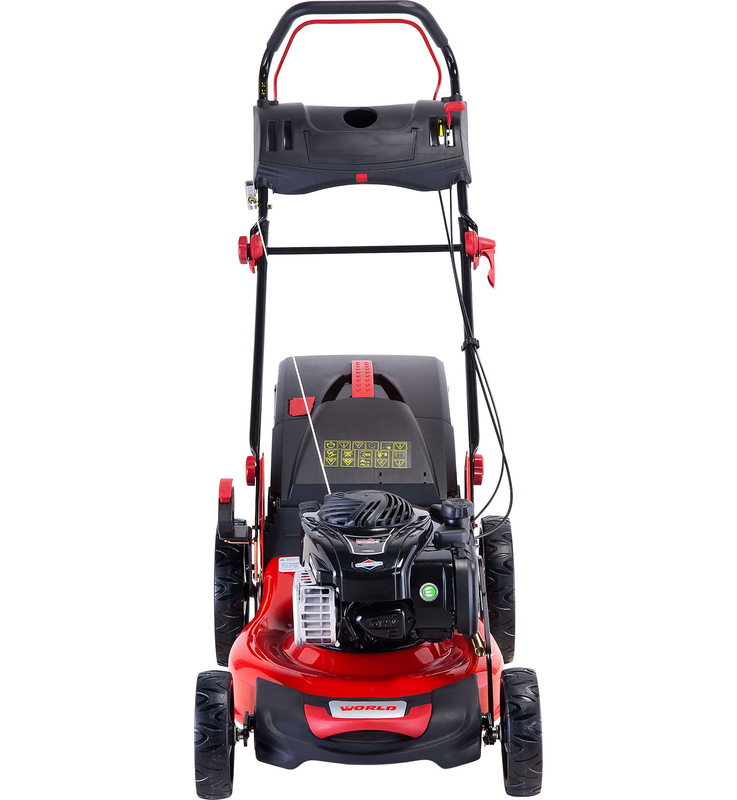 Like every World mower, it benefits from a Briggs & Stratton powertrain. 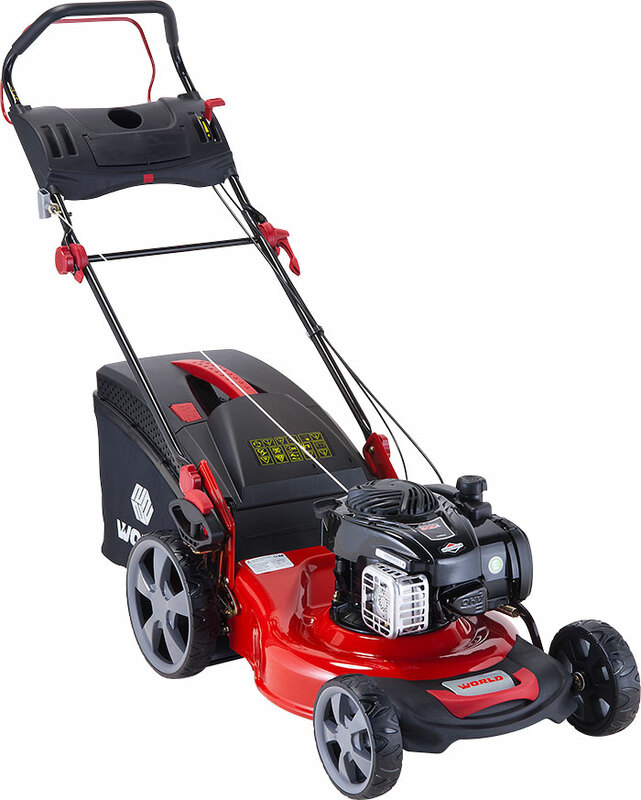 As the world’s largest manufacturer of outdoor 4-stroke engines, Briggs & Stratton products have a well-deserved reputation for reliability and longevity. 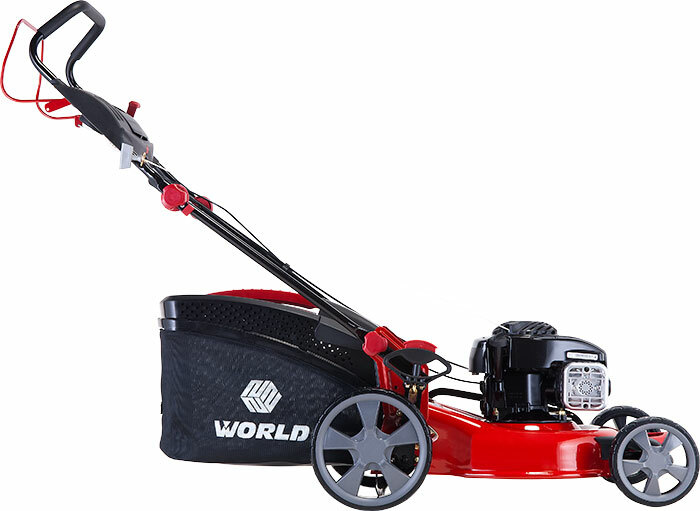 Designed from the outset to deliver a great finish, the WYS18’s balanced 46cm blade, hard-wearing steel cutting deck and roller bearing wheels, help ensure a superior, level cut. The single lever height adjustor allows a total of 6 different cut heights to be selected, with pre-set heights ranging from 25mm to 90mm – without the need to adjust each wheel individually. To maximise collection efficiency, the WYS18 doesn’t just feature an aerodynamically designed discharge chute, but a 60 litres capacity grass bag too… allowing plenty of ground to be covered quickly and fewer trips to the compost pile. With so much on offer, including a 2 year warranty, it’ll be no surprise to learn the WYS18 is already an established best-seller within the World range.